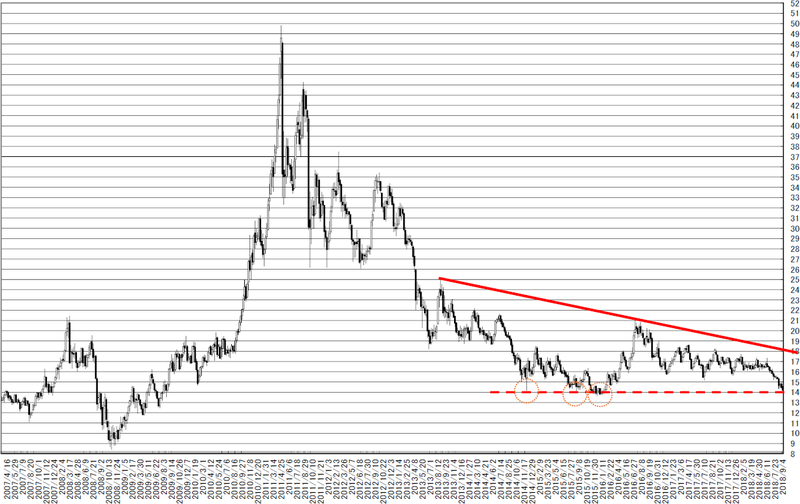 NY silver weekly market; The price keeps 14 dollar over and this market will be stable. Our conclusion is this market will be stable. The half price works as support. 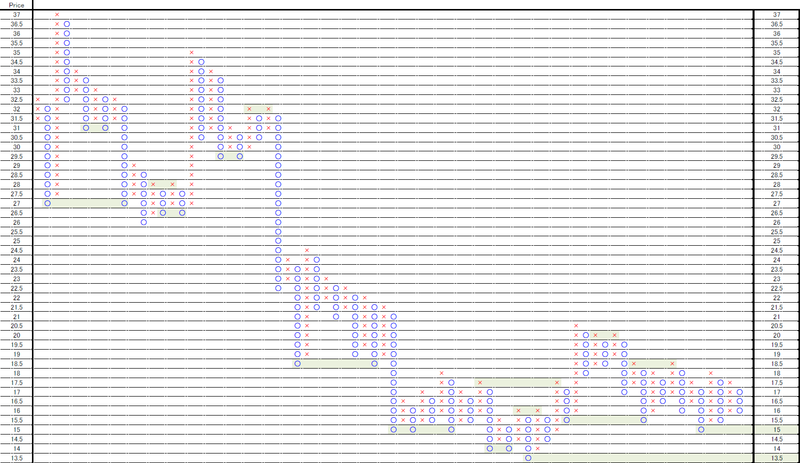 This is 0.5 point change and 3 box reversal close price’s Point and Figure chart. 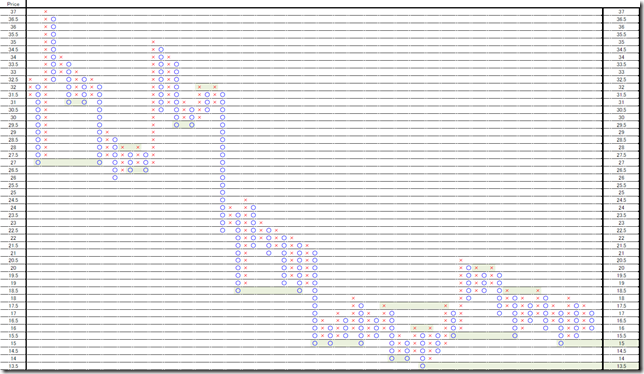 Latest fashion seems to be “Double” and support point worked well. 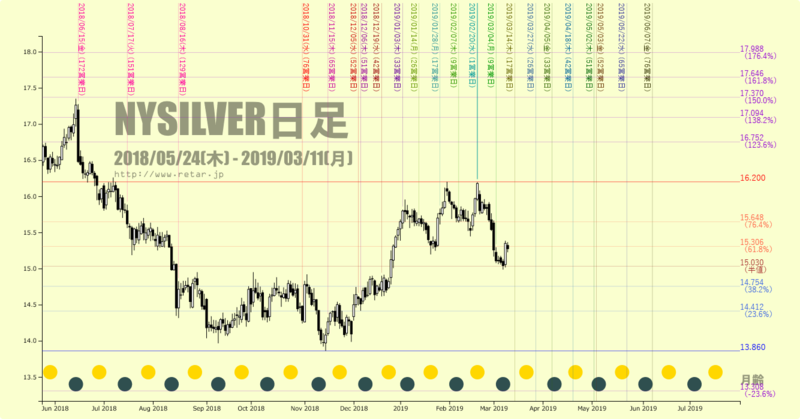 NY silver weekly market; if the price will not cut 14 dollar, this market will be stable. 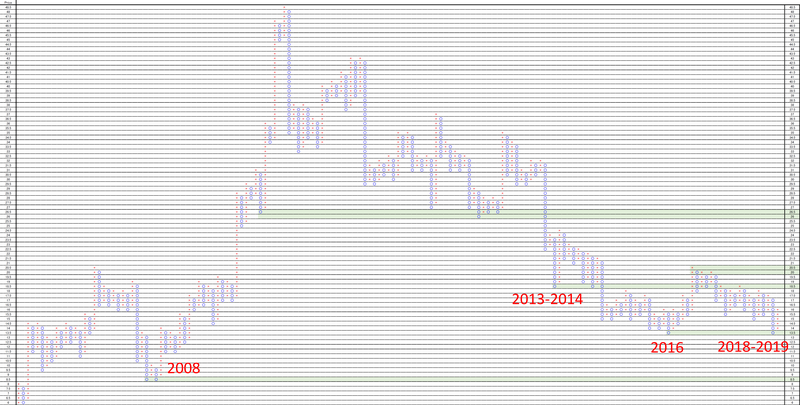 Our conclusion is if the price will keep 14 dollar over, this market will be stable. 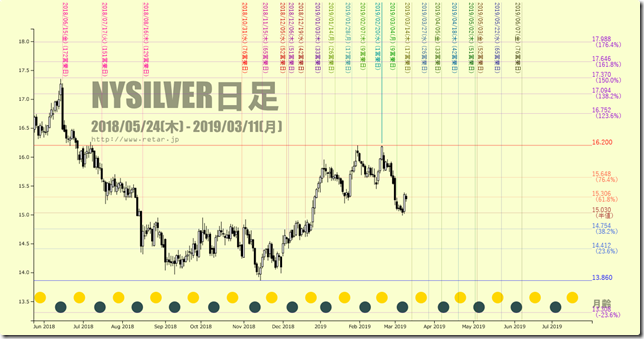 We reported “NY silver weekly market; the price goes upside from pennant; real trend will be cutting 20 dollar” in 4/20/2018. 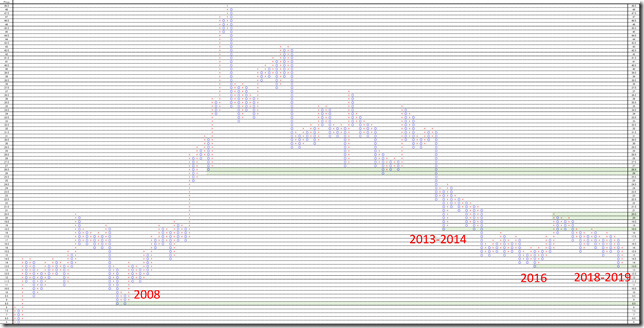 If now is steadiness, 14 dollar around will be the limit of the range. 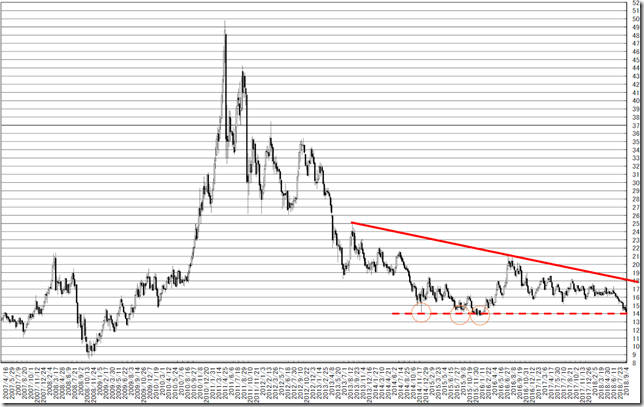 If the price will keep 14 dollar over, we may confirm stable market. Latest fashion seems to be “Double”. 14 dollar around will work as support.